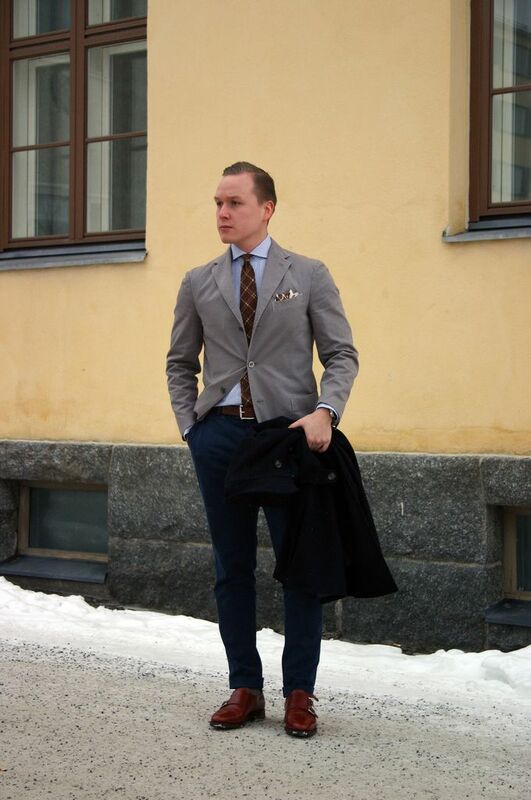 From the same weekend trip as my last outfit post, this one's another pretty basic sport coat look I like to wear on a day-to-day basis. On me: an unstructured Boglioli cotton jacket, blue and white gingham check spread collar shirt, Polo Ralph Lauren lightweight cashmere tie, Tom Ford geometric print silk pocket square, Equus Leather Oak Brown bridle leather belt, dark blue Incotex chinos, brown Pantherella socks and Meermin Scotch grain double monk shoes. 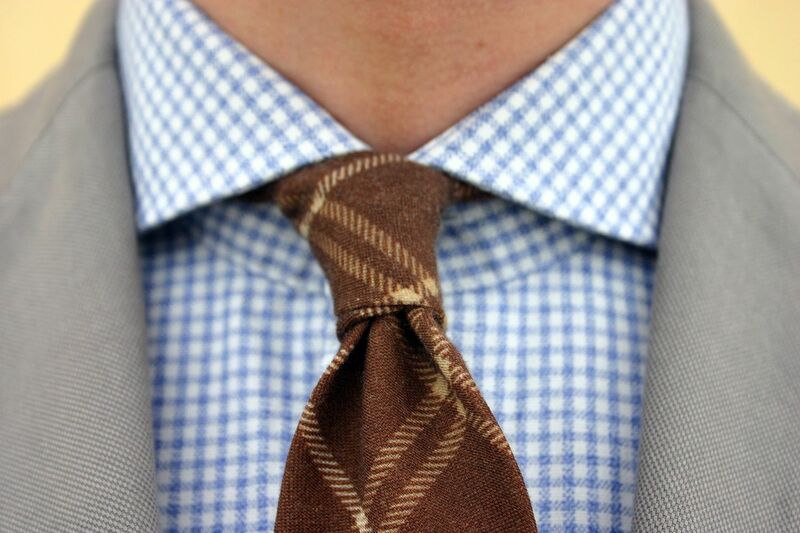 Love this tie. I got it quite a long time ago, and it has served me well. 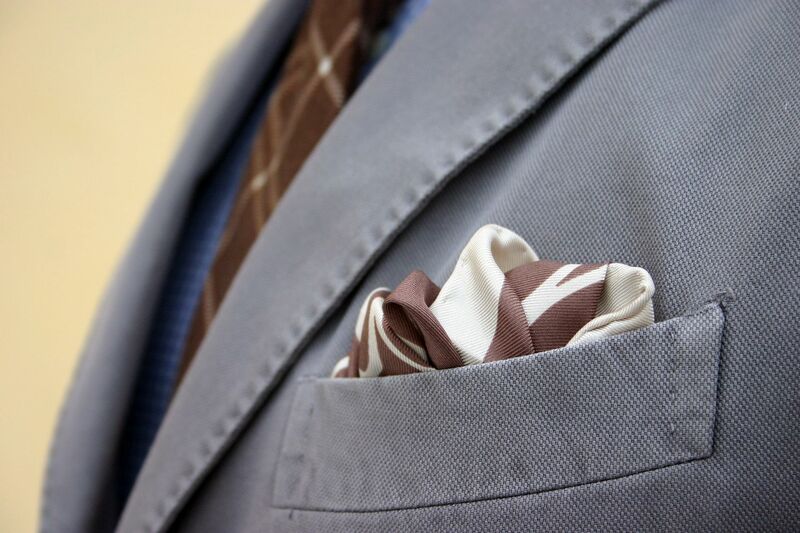 Its weight and fine texture combined with the plaid pattern and the colors that look equally great during summer and winter make it a great all-rounder. A Tom Ford pocket square with a cream geometrical pattern and edges. 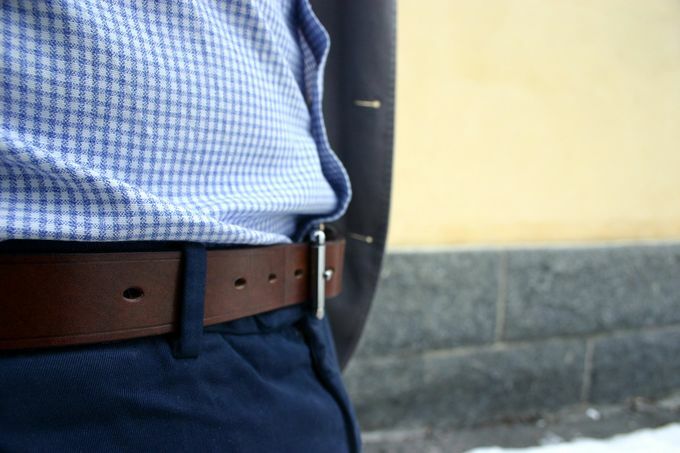 Equus Leather bridle leather belt in Oak Brown. My favorite belt by a long margin. 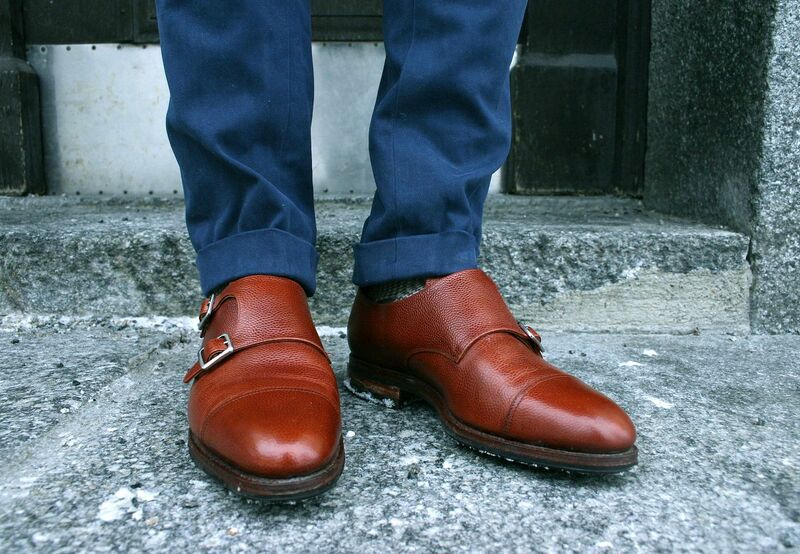 Meermin double monk strap shoes. Some minor creases have appeared over time, but nothing too bad.